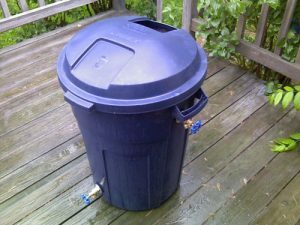 As water prices rise, what better way to save money and beat any hosepipe bans than collecting rain water from your roof in a tank, barrel or bin. You can save thousands of litres of water a year and use it to water your vegetables, flowers or lawn, saving you money at the same time. Watering cans can significantly reduce the amount of water used whilst delivering the desired amount to your plants. 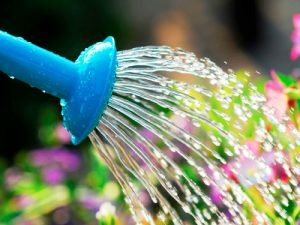 However if you insist on using a hosepipe to water your garden, attach a trigger nozzle which will halve the amount of water used and help direct the flow to the roots of your plants. Using mulch on your garden will help the soil retain water meaning you won’t have to water the garden as often. ​ Avoid using the hose pipe to wash your car. Hose pipes can deliver 1,000 litres of water per hour, so if you washed your car for just 6 minutes every week you would send 5,200 litres (or around £10 of water) down the drain. Use a bucket and cloth or sponge instead. However, using a single bucket to rinse and wash at the same time can mean your sponge will pick up dirt particles from your car and scratch the paintwork. To avoid this, try having one bucket of soapy water, and another with clean water. When you wash the car, rinse the sponge in the clean water first to lose the dirt particles, and then dip in the soapy water for more detergent. 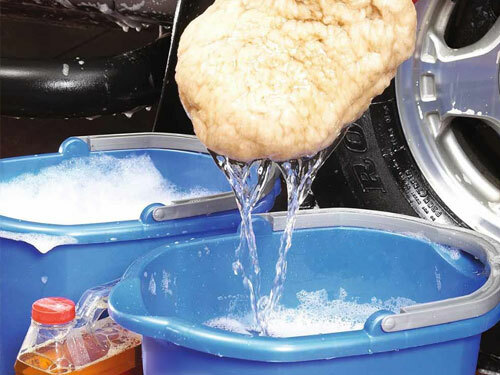 Use a bucket and cloth or sponge to clean your car. ​Use a broom and bucket of water for washing down the patio, rather than a steady flow of water from a pressure washer.